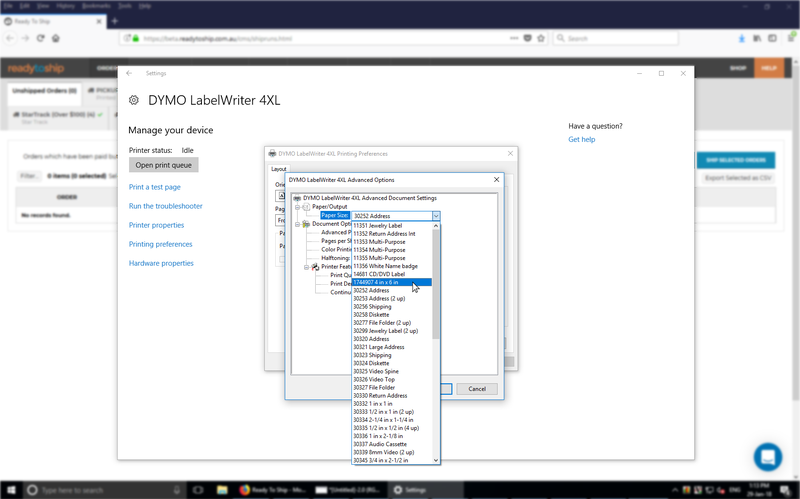 Why aren't labels printing the right size on my Dymo 4XL in Windows? Labels for carriers like eParcel, Couriers Please, Fastway, Sendle, DHL are printed on 4x6" thermal labels so the printer needs to be set up correctly for these labels. 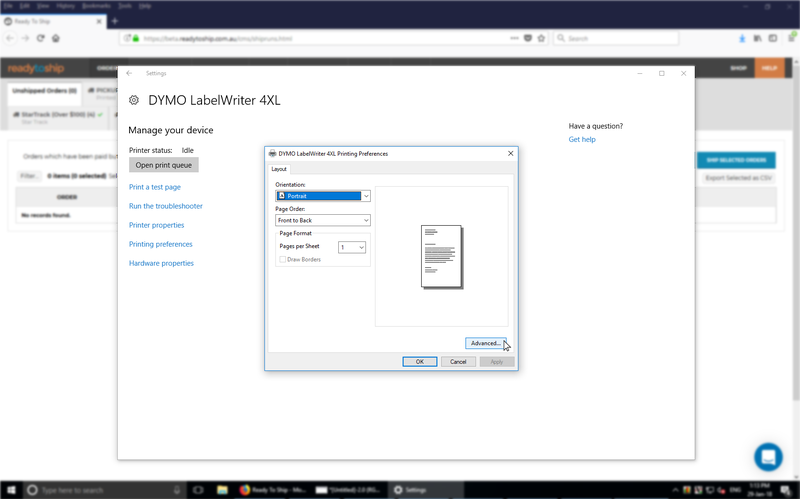 Here's how to set up a DYMO 4XL in Windows 10. 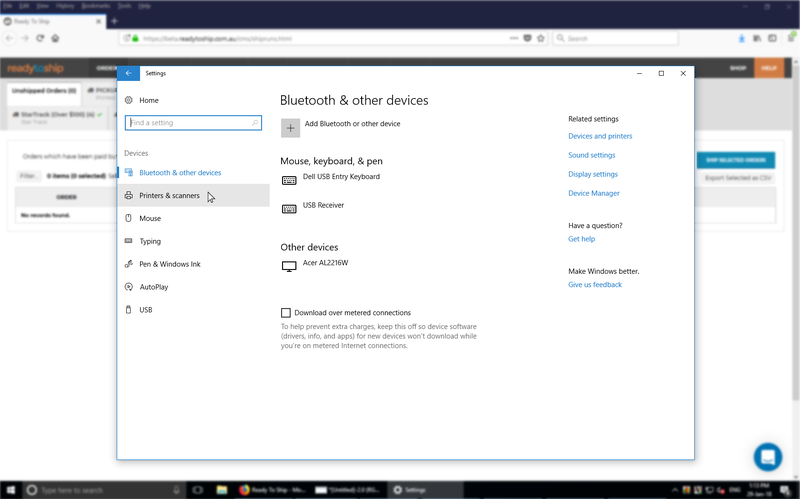 Other versions of Windows will have similar steps. 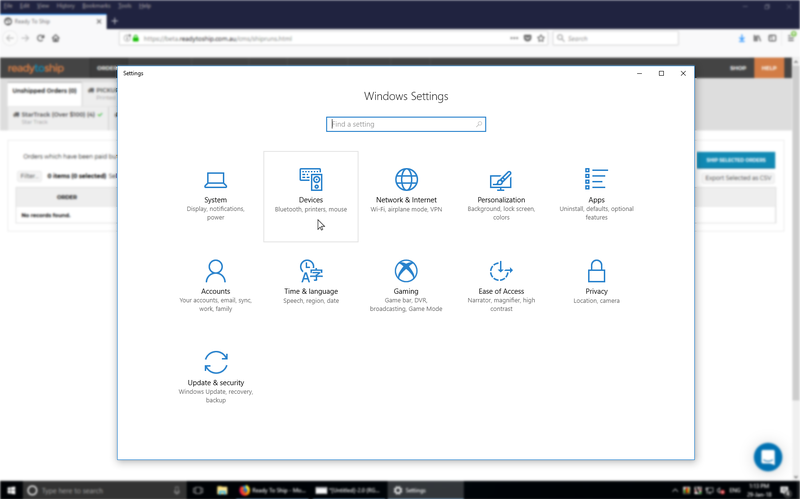 Click on the Start Menu in Windows. Click the Settings gear to open the settings panel. 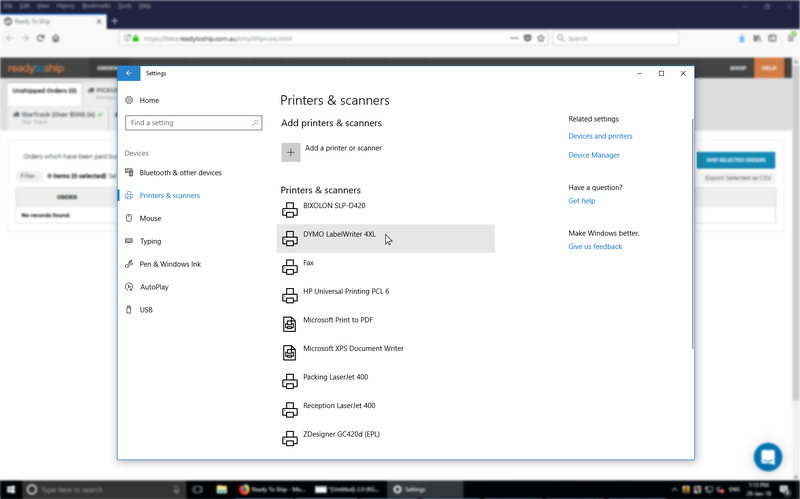 Click on Devices and click Printers and Scanners in the left menu. Select the Dymo 4XL. 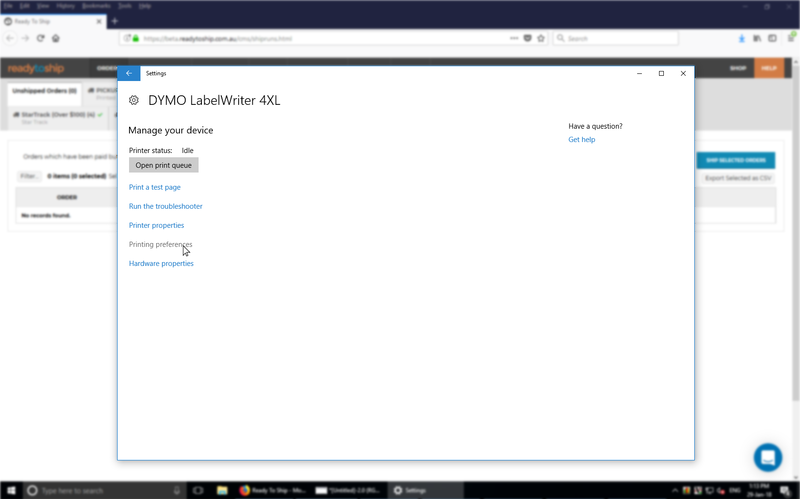 If you can't see the Dymo 4XL, make sure it has been installed properly, or reboot your computer. Click the Advanced button in the lower right corner. This opens a dialog with the DYMO 4XL default settings. Choose the "4 in x 6 in" label from the Paper Size list. Click Save and try printing again.